Last time we met we learned about the work of the Holy Spirit. Today we learn how sorrow can be turned into joy in John 16:16-24. 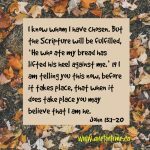 Jesus continues talking with the disciples, offering them information that will be of comfort to them when he is gone. Today he tells them bluntly that : “A little while, and you will see me no longer” Makes sense this right? Very straight-forward, soon I won’t here any longer. 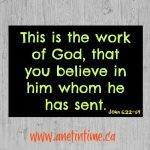 BUT then he adds this be “and again a little while, and you will see me.” Do you blame the disciples for their response? 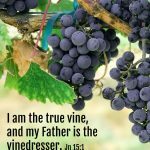 17 So some of his disciples said to one another, “What is this that he says to us, ‘A little while, and you will not see me, and again a little while, and you will see me’; and, ‘because I am going to the Father’?” 18 So they were saying, “What does he mean by ‘a little while’? We do not know what he is talking about.” I would be completely surprised if they HAD understood what he meant. Jesus was introducing them the thought that he would come back. He’d go away, and then he’d come back. The little while stuff wouldn’t be easy to figure out either. The disciples were so confused. This didn’t surprise Jesus of course, he knew they were wanting to ask him questions so he asked if for them. “Is this what you are asking yourselves, what I meant by saying, ‘A little while and you will not see me, and again a little while and you will see me’? He then went on to answer it. Truly, truly, I say to you, you will weep and lament, but the world will rejoice. 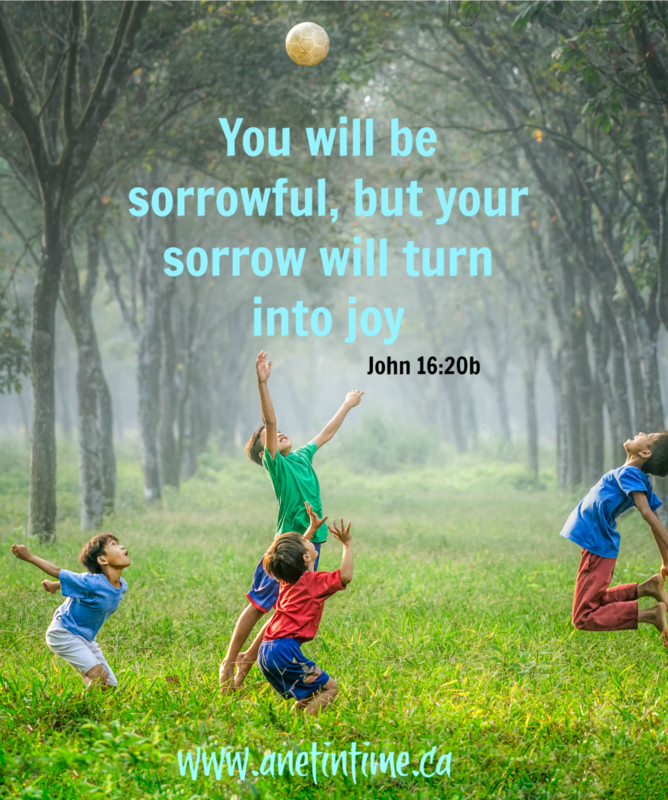 You will be sorrowful, but your sorrow will turn into joy. 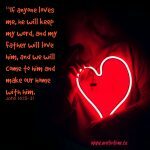 21 When a woman is giving birth, she has sorrow because her hour has come, but when she has delivered the baby, she no longer remembers the anguish, for joy that a human being has been born into the world. 22 So also you have sorrow now, but I will see you again, and your hearts will rejoice, and no one will take your joy from you. 23 In that day you will ask nothing of me. Truly, truly, I say to you, whatever you ask of the Father in my name, he will give it to you. 24 Until now you have asked nothing in my name. Ask, and you will receive, that your joy may be full. Jesus makes sure they know he speaks the truth when he started off with “truly truly.” Sorrow is coming. The world will be happy, but they will be sad. That sadness though, it will turn to joy. Just like a woman is sad to go through labour pains, but when it’s over her heart is full of joy. So it will be for the disciples. They will be so sad when he goes away, BUT Jesus will return. His return will shepherd in their joy. That joy will be such that no one can take it away from them. He then tells them to ask things of God. Ask, he says. When you ask you will receive and their joy will be full. I’m sitting here thinking… Jesus uses two “truly, truly” expressions in this passage. One to reinforce the saying that he’ll go away and come back again after a bit. The second to reinforce that if we ask God for anything in Jesus’ name, it’s ours. Two statements he wants very much for us to know are true. First off we KNOW he went away. That’s historical fact. Then there’s the second part… Jesus is coming back! He’ll be gone a spell, but then he’s coming back. Sorrow will turn to joy. Won’t it be great? 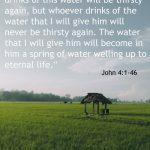 We are told several times in the New Testament about how Jesus will return. In Acts we are told he will return just the way he left. Second…anything we ask God for, in Jesus’ name, we will get. That implies that we know the will of Jesus doesn’t it? You can’t ask for something in a person’s name and it be outside of what you’d know they would want. It’d be like my son going to his father and saying “Mom said I could have a new TV”. His Dad would look at him funny and basically say “I DON”T THINK SO”! But if my lad went to his dad and said “Mom said I could go to Dollarama and buy new containers for my ants” Dad would happily take him or let him go”. Why? Because it fits. God’s not going to give us something that doesn’t fit within what Jesus would have for us. Even if we beg for it, it’s just not going to happen. What a great incentive for us to know Jesus, to know the Lord all the more eh? Not in a give me, give me understanding, but more in a let me know God more so that when I have need of something, I know what to ask for manner. Make sense? Our comfort is this. Christ will return. Our sorrow at his leaving will become joy at his return. AND we can ask God for anything in Jesus’ name and it will be given. It’s a good thing, is it not? Jesus gave the disciples good comfort. I am always amazed at the faith the apostles had. I am just reminded of this when we see them actually question Jesus because much of the time, they just believed. What examples they were and continue to be. for sure! We can learn so much can’t we?